On Sunday 25th November our Parish welcomed 17 of her members into their next level of growth as Catholics. During the last two years, the Chatechists in the Parish have been busy with their noble work of teaching and mentoring the children and some elder members who had not received their Sacrament of Holy Communion; and it was a really great day not only for them but the whole congregation who were witnesses of this important occasion. This event was also blessed by the presence of Fr Rodney Khuluse who through previous arrangement had visited our Parish with the Executive Committee of the SCCM. 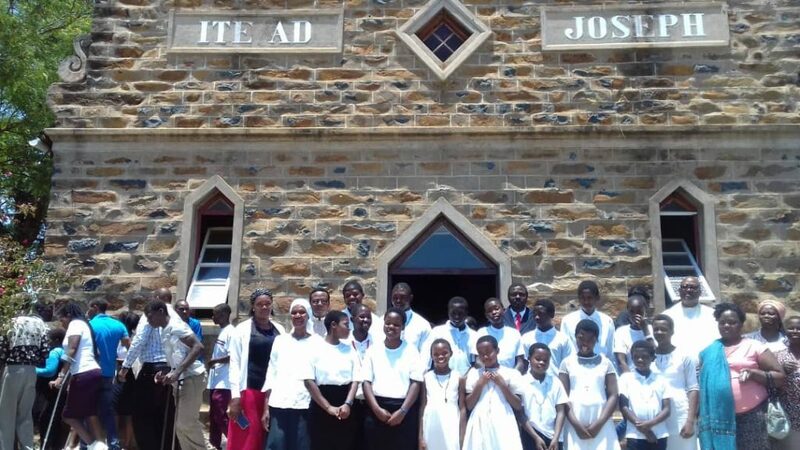 Fr Joseph W. Dlamini presided during the celebration of Holy Mass and the anointment of the rite of the Sacrament of the Holy Communion to the Seventeen members of our Church under the St. Joseph Parish. 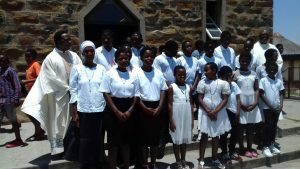 He (Fr Joseph) encouraged the “Graduates” to continue coming to Church and also participate in all or most Church activities so that they can learn more about how the Church functions, the dos and the don’t. He continued to say that, it is only through participation that Catholics get to learn and understand and become more devoted. He expressed his disappointment on some Catholics who upon receiving their Sacraments then decide to absent themselves from Church; only to come back when they need the services of the priest.